Did you know that more than 90% of Canadians live within 15 minutes of a Canadian Tire Retail store? With over 500 locations across Canada, each offering a unique mix of products and services, we are always looking for new suppliers who share our focus on customers and who are committed to developing new, innovative products. If you have a product that would be a great fit for our stores, and are looking to create a meaningful partnership that delivers on our customers’ wants and needs, please click below to read our requirements becoming a Canadian Tire supplier. Suppliers must understand and adhere to Canadian standards and all regulatory requirements, including any product and/or category specific requirements; for example, those specified by the Canadian Standards Association (CSA). Suppliers are required to provide a certificate of liability insurance (insurance indemnification). Canadian Tire may audit Supplier facilities, test and inspect Supplier merchandise, among other things, to ensure it meets both Canadian Tire and Canadian regulatory requirements for performance, safety, structural packaging, and reliability. Canadian Tire requires the cooperation of Suppliers in the implementation of product and packaging stewardship programs, which may include funding and cost recovery. Canada is a bilingual country, with English and French as its two official languages. Therefore all consumer unit packaging, whether it is a Canadian Tire retail brand or a supplier’s own brand, must be bilingual and in compliance with all Canadian language laws. French and English must appear as prominently as any other language on products, their containers and wrappings, and documents or objects supplied with them, including directions and warranties. The goal of our Packaging Standards is to ensure product moves from the Supplier’s facility to Canadian Tire stores in the best possible condition through safe and efficient handling. We want to ensure that the consumer packaging is protected during the various types of handling required for product flow. All Suppliers must adhere to Canadian Tire’s Supply Chain requirements and shipment quality standards, including Supply Chain security requirements. There are also some unique requirements depending on where Suppliers ship. In most cases, Canadian Tire picks up shipments at our Domestic Suppliers locations. As a result we have processes and forms that are unique, for example, RPA forms (Request for Pick Up or Appointment). Canadian Tire requires compliance with all government and regulatory requirements for Customs documentation and border agency controls. Canadian Tire is partnered with an exclusive 3rd party logistics supplier to manage our Offshore shipments. Canadian Tire uses FOB (free on board) freight terms. Ownership of goods transfers to Canadian Tire once the goods are on board the vessel at the port of load. As such, Canadian Tire is responsible for transportation to the final destination as well as Customs clearance into Canada. Supplier Compliance programs are in place for both Domestic and Offshore Suppliers. Training programs are in place to help Suppliers understand and comply with our Supply Chain requirements. Canadian Tire requires suppliers to electronically trade Forecasts, Purchase Orders, PO Changes, Ship Notices, Invoices and other documents related to transportation planning. Suppliers must be able to transmit and receive these required Canadian Tire electronic documents through Canadian Tire’s web enabled system. Suppliers must also be able to communicate with Canadian Tire via e-mail. Canadian Tire has a long-standing reputation for integrity and trustworthiness amongst its stakeholders. The Company’s reputation depends on the way in which it conducts its business and its commitment to corporate social responsibility. 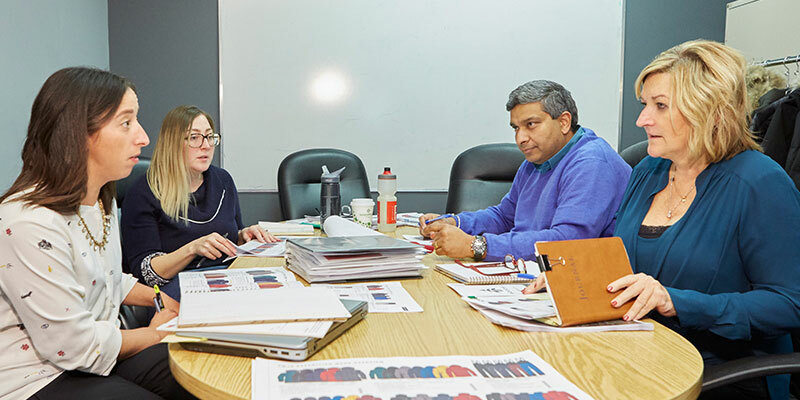 The Supplier Code of Business Conduct (SCBC) is a key part of Canadian Tire’s commitment to corporate social responsibility and ethical business sourcing practices. The SCBC clearly articulates Canadian Tire’s core values, principles and expectations of our suppliers. It includes standards and policies on child labour, harassment/discrimination/abuse, work conditions, wages, health and safety, environment, bribery, etc. Canadian Tire expects that all suppliers, including their sub-contractors, are in full compliance with the SCBC. The SCBC is supported by an audit process that includes training and education to help suppliers understand and apply all policies. Canadian Tire will strive to work with suppliers on corrective action plans in the event of an audit failure. However there are situations that will result in termination of Canadian Tire’s business relationship with the supplier. Canadian Tire also considers certain categories of the SCBC as “zero tolerance”. They include, but are not limited to child labour or forced/slave labour, discrimination/harassment/abuse, or bribery of a Canadian Tire employee or representative. See the Canadian Tire Vendor Gateway registration process for new vendors in the New Vendors section below. Instructions can be found on the registration page. You will be notified if your registration has been accepted. If you advance to this step, you will need to view training modules and documents that will guide you through this process. Upon completion, you will receive a Vendor Gateway login and temporary password to the email address you provided in the registration process. You will then need to add all shipping locations to your company profile. When a line review begins, you will be invited via the Vendor Gateway, to respond to an RFQ (Request for Quote). The Category Business Manager, Shanghai or Hong Kong offices will invite selected Suppliers to meet and discuss their proposal. Negotiations may be conducted on items such as quote cost, discounts, allowances and rebates, etc. The Category Business Manager will finalize their decisions regarding which Suppliers and products they will include in their assortment. If selected, you will be asked to submit a final, signed contract. If you are selected, and after the final contract has been signed, you will receive more information about how Canadian Tire operates in areas such as Supply Chain and Accounts Payable. 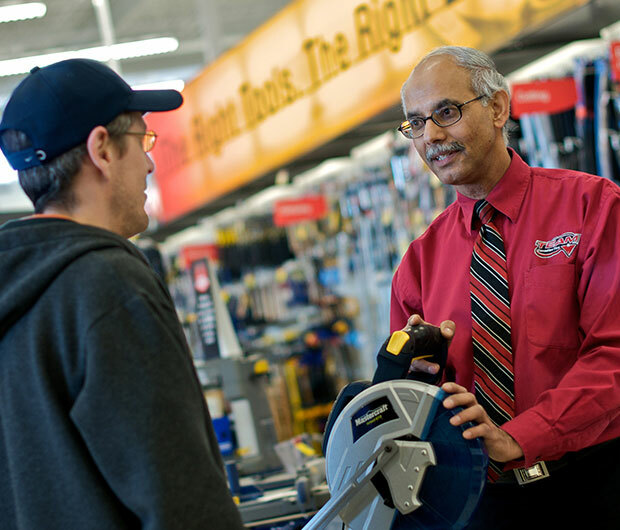 You may be contacted by other Canadian Tire team members to be set up on key processes and receive training support (e.g. to enable your successful first shipment). A company in which Canadian Tire may one day purchase product from. As a new Vendor you will receive access to the Vendor Gateway and the Data Vault. The Vendor Gateway is used for sourcing activities such as Requests for Quote (RFQ) and capturing contractual information. You will use the Vendor Gateway to quote on your product assortment. What is the Data Vault? The Data Vault is used to capture and store product attributes and non-contractual information. You will use the Data Vault to provide us with SKU level details like brand, packaging, etc. Registration for Vendor Gateway and the Data Vault is completed in Vendor Gateway. A separate registration request for the Data Vault is not required. Complete the vendor registration form in Vendor Gateway - Click HERE. Once you have received your log-in, register you shipping locations in Vendor Gateway - Click HERE. You are now ready to participate in Canadian Tire Sourcing events through Vendor Gateway. See existing vendor section below to log-in. Note: Once your registration has been accepted you will be provided with a log-on id and password. The log-on id and password that you will receive will be used to access both the Vendor Gateway and the Data Vault. Click HERE to login to Vendor Gateway. To add shipping locations to your Vendor Profile - Click HERE. Click HERE to login to the Data Vault. Canadian Tire’s Vendor Package consists of a number of documents that a supplier (also called Vendor) must complete when providing a quote for the first time and when making updates to their product assortment. Suppliers are responsible for the completeness and accuracy of information provided. The Purchase Agreement signed by an authorized signing officer of the Supplier/Vendor. The Product Quotation Form contains all the details Canadian Tire requires to evaluate a quotation. The Vendor Support Agreement lists all discounts, allowance, and rebates applicable to the products being quoted. The Product Safety Information Form is required for all products. Canadian Tire also requires a Material Safety Data Sheet (MSDS) for all products that are potentially hazardous in nature. The Supplier Code of Business Conduct certification form must be signed by an authorized signing officer. Go to the Supplier Code of Conduct page to read more about Canadian Tire’s principles of ethical business conduct. The Supply Chain Security Requirements survey provides Canadian Tire with information about a Supplier’s supply chain processes, procedures and security profile. It also includes information about the Customs-Trade Partnership Against Terrorism and Partners in Protection initiatives. You will be requested to provide supporting documents along with the completed information. The Application Parts Catalogue Requirements Form is applicable for all automotive parts Suppliers. Suppliers are required to subscribe to third party parts catalogue distributors designated by Canadian Tire. Non-automotive parts Suppliers are exempt from completing these documents. Suppliers must provide a copy of their Certificate of Liability Insurance (Insurance Indemnification). Canadian Tire requires its Suppliers to obtain and maintain general liability insurance coverage at the Supplier’s sole expense, from a company or companies satisfactory to Canadian Tire. For general inquiries or to introduce your company to Canadian Tire, click here. Contact us if you would like to introduce your company and your product offering to Canadian Tire. To contact a Category Business Manager, click on a link to find contact information for your categories of product. After over 95 years of successfully working with suppliers, many questions have come up. Here are the answers. If I contact a Category Business Manager can I expect a phone call back? Can Canadian Tire receive products coming from anywhere in the world? My company has never sent or received electronic documents before. Will we still be able to do business with CTC? Will I be provided training if selected to provide products to Canadian Tire? Can I supply product to one store? If I contact a Category Business Manager can I expect a phone call back? Category Business Managers (CBMs) conduct product reviews bi-annually, annually, or at intervals greater than a year. The timing for reviews depends on the type of product. There may not be a need for the CBM to contact you at the time you submit your information. If they are interested in having you submit a proposal, they will contact you at the appropriate time. Can Canadian Tire receive products coming from anywhere in the world? Canadian Tire has authorized ports throughout the world, along with offices in Hong Kong and Shanghai, and agents in India and Mexico. Where appropriate, we are willing to work with prospective vendors to source from locations where we do not currently receive product. However, Canadian Tire will not receive products from locations where Canada has an Economic Sanction against that country. My company has never sent or received electronic documents before. Will we still be able to do business with CTC? Canadian Tire does require Suppliers to exchange documents electronically, but we work with our Suppliers to determine the most appropriate system option. The type of documents that this will include would be Forecasts, Purchase Orders, PO Changes, Ship Notices, Invoices and other documents related to transportation planning. Will I be provided training if selected to provide products to Canadian Tire? If selected you will receive more information about how Canadian Tire operates in areas such as Supply Chain and Accounts Payable (all details included in the “Vendor Guide” document). You may be contacted by Canadian Tire team members to be set up on key processes and receive training support (e.g. to enable your successful first shipment). Can I supply product to one store? Canadian Tire is a national retailer and expects our suppliers to have capacity to supply for all of our retail stores based on our demand requirements.